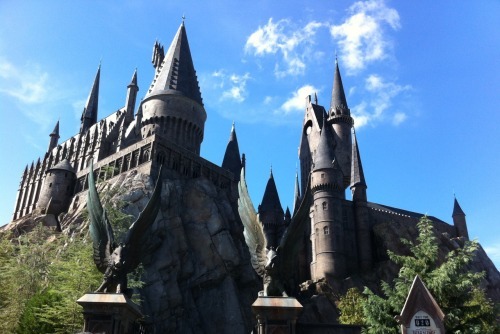 Three Broomsticks @ The Wizarding World of Harry Potter | faim? oui oui!!!!!! From Diagon Alley, we took the Hogwarts Express (yes, we were on Platform 9 and 3/4) to Hogsmeade! 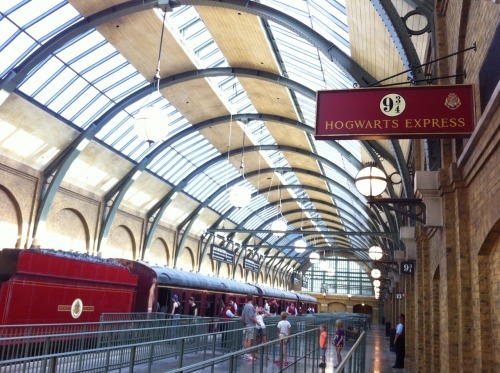 With some theme park magic, we actually ran straight into the wall between platforms 9 and 10. 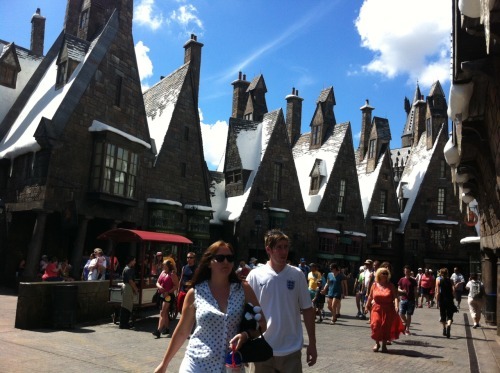 After a quick 5 minute ride, we were in Hogsmead! We had lunch at the Three Broomsticks, which had another true to book/movie fantasy, interior and exterior decor. frozen butterbeer! I ordered it in a souvenir mug. Sad to say.. 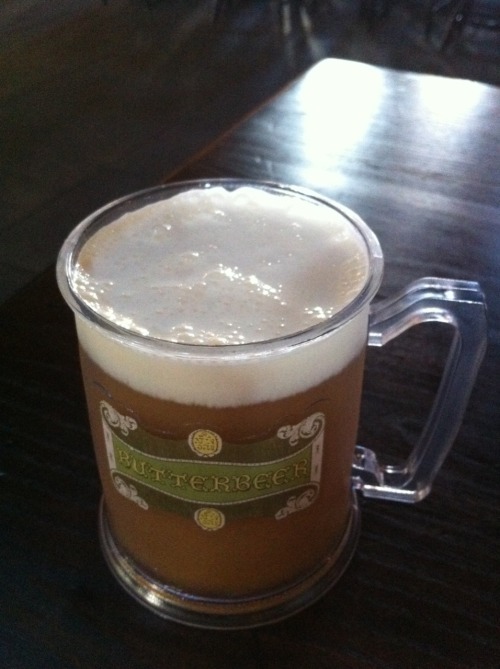 I don’t like butterbeer… it tasted like frozen cream soda with a layer of cream on top…..
We also ordered fish and chips.. but it was meh…. After lunch, we were off to Hogwarts School of Witchcraft and Wizardry!!!! 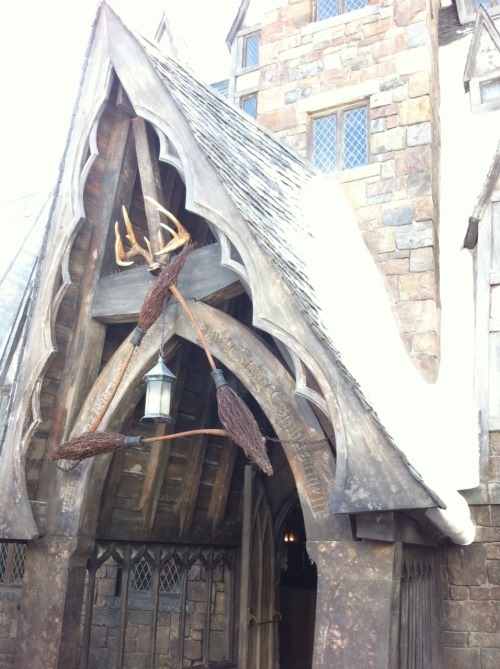 This entry was posted in British, pub food, USA - Wizarding World of Harry Potter and tagged The Wizarding World of Harry Potter, Three Broomsticks. Bookmark the permalink.